Note: ⭐= activity rewards powerful gear. Destiny 2 Weekly Reset! ARC WEEK AND EXOTIC QUEST! by Mesa Sean on YouTube << Click for more Destiny 2 videos! ⭐ Clan Rewards: Earn 5,000 XP for your clan – Complete clan bounties to earn XP. Summoning Ritual: Activate all 9 plates and kill Ogres in the middle. Check out the Clan Raid Challenges page to view all challenges available and for challenge guides. Prism: Attacks matching the periodically rotating focused element do more damage. Other elemental damage is reduced. Incoming damage is unaffected. These are the types of weapons required for Prestige Raid Lairs. ⭐ Weekly Nightfall Challenge: Complete this week’s Nightfall. ⭐ Weekly Score Challenge: Complete a Nightfall with a team high-score above 100,000. Earth. Shut down the operations of an ironmonger providing weapons to the Red Legion. Click here to view all of the Nightfall unique rewards available. ⭐ IO: Complete various activities on Io including public events, Lost Sectors, and Heroic adventures. View guides on how to complete heroic public events here. Hunt down the wanted Arcadian Chord that escaped from the Prison of Elders. Check out the Destiny Reddit page to view what materials Spider has available for exchange. Earn 1000 points by defeating enemies, defeating Guardians, and banking Motes. Note: All maps and private matches are now live for Annual Pass owners! 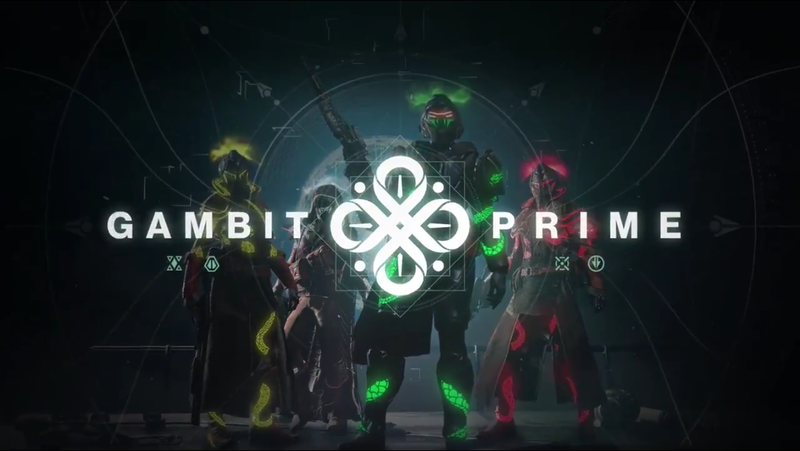 View the Gambit Prime page for guides and more details. 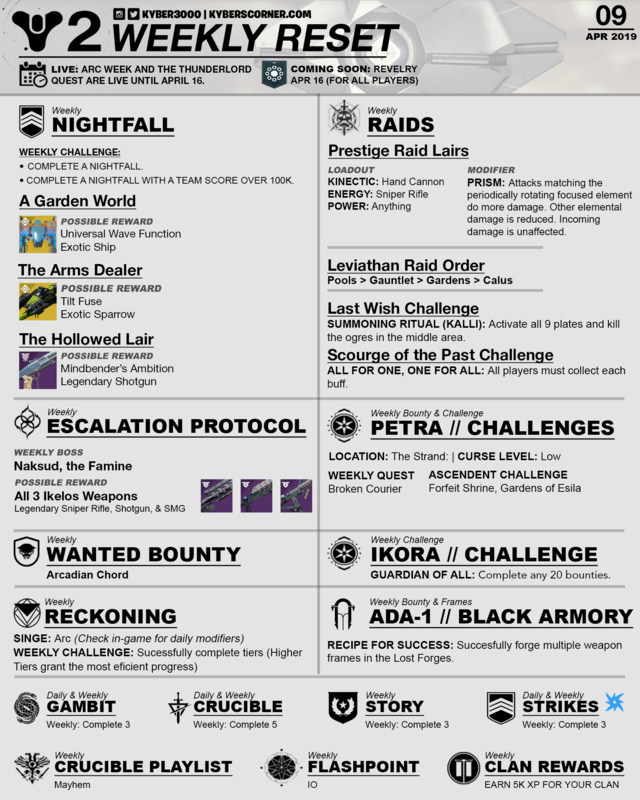 Check r/DestinyTheGame/ find out what the daily modifiers are. View the Reckoning activity page for guides. More Info: The final boss has a chance to drop any of the weapons above, drops from boss and not the chest. The chest is for armor. 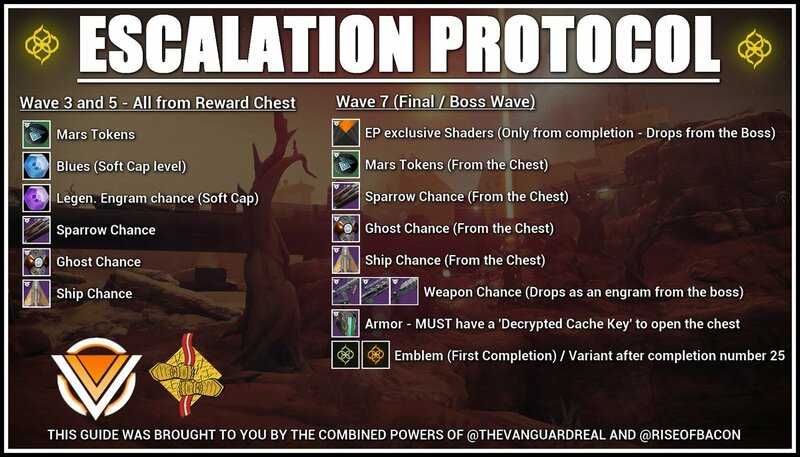 Read more about Escalation Protocol here. All Gambit Prime maps and Private Matches are live for Annual Pass players! Notes: To view daily modifiers for adventures and etc click here. Remember to check in-game for new bounties, activities (daily strike, crucible, and gambit), and challenges NPC’s have like Ikora. Everyday at reset you should see you have Prime Attunement, this buff allows you to earn powerful engram(s) when you defeat challenging enemies. Live Now for All Players! The most noticeable update is that Bungie improved many Arc subclass paths from the time before Forsaken. Mayhem will be available in the Crucible to let you experiment with your enhanced Arc abilities using shockingly short cooldowns. Three emotes will be available in bundles for direct purchase, one for each class. Now you can show off your mastery of the Arc arts even when your Super is on cooldown. Here is a timeline of content coming throughout Season of the Drifter. More details will be posted asap for new activities! Follow me at Twitter and Instagram for the most up-to-date news!